We are the official and exclusive partner for Diamond Resorts. Only rent from official listings in order to ensure your reservation gets delivered to the resort and you receive the best possible guest experience at our properties. Book online now for instant confirmation! Santa Barbara Golf & Ocean Club is just 100 yards from the beach in southern Tenerife. It features an outdoor pool, spa with hot tub and sauna and apartments with a private balcony. All apartments at the Santa Barbara feature a sitting area with sofas, flat-screen satellite TV and DVD player, as well as a kitchen with fridge. The private bathrooms come with a hairdryer and free toiletries. Some rooms have sea views and air conditioning. 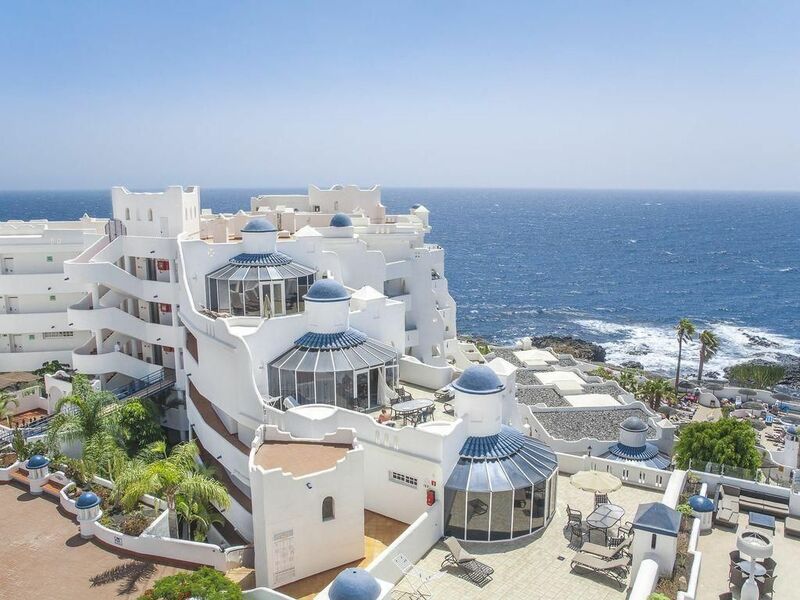 Featuring landscaped grounds and spectacular views of the Atlantic Ocean, this hotel offers entertainment options such as a game room, a children's club and a nightclub. For dining, there is an Italian restaurant and a poolside snack bar. There is also an outdoor chill-out area with bar and ocean views, as well as a grocery store. Golf del Sur and Amarilla Golf Courses are less than a 5 minute walk from the hotel. Tenerife Sur Airport is a 20 minute drive away. A refundable security deposit of EUR 100 per apartment is required upon arrival. This deposit is obligatory and must be paid with a valid debit or credit card. Visa, Mastercard, Maestro and Switch cards are accepted by the resort. Please note that cash is not accepted. Additional fees apply for the use of the leisure center and other resort facilities. Please contact the property directly for further information. Requests for wheelchair-accessible accommodations must be confirmed by the resort in advance. Children are welcome. One child under 2 years stays free of charge when using existing beds. One child under 2 years stays free of charge in a crib. The maximum number of cribs per room is 1. Extra bed policies do not apply for studio apartments. Please contact the property for further information. This property charges a mandatory resort fee due at check-in. Please check listings for details. Rates subject to change. Click "Book it Now" for rates and availability. Reservations may be cancelled up to 8 days prior to arrival. A cancellation fee of 25% of the reservation will be charged. Cancellation requests made 7 days or less prior to arrival are non-refundable.